Razer’s past 5 years have been quite succesful. Clearly becoming a leading gamer’s brand that pushes the envelope. 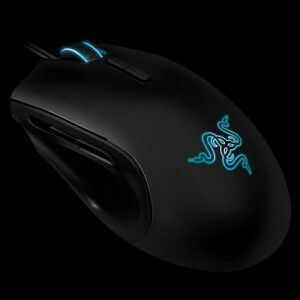 The hugely succesful Diamondback, using a temporarily Razer-exclusive sensor, showed Razer was back in business after their crappy first optical mouse, the Viper. Following the Diamondback was an OK laser mouse, the Copperhead, and the awesome Deathadder, Razer’s first right-handed mouse. It was a great upgrade for gamers looking for the next best thing. The very good Avago 3688 sensor, with 1800DPI and very high maximum speed, guaranteed excellent tracking and is still one of the best sensors available. The familiar ergonomic shape pleased many coming from Logitech’s aging MX5xx line and Microsoft Intellimouse series. This review, however, is about the Razer Imperator. I recently received this mouse as part of a christmas-gift from Razer, and I’ve decided to write a review about. In my opinion most hardware sites don’t have proper mouse-reviews. They either don’t know what they’re talking about, or are afraid they won’t receive any more review samples if they’re too critical. One notable exception is ESReality. You might have read my review of the Razer Barracuda headphone/soundcard combo, if you did, you’ll know I might be a fan of Razer, but not a fanboy.